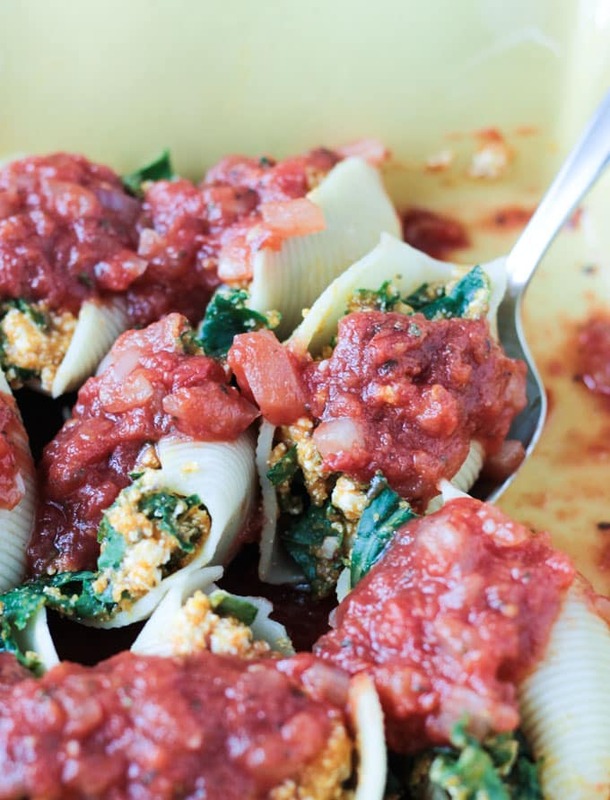 Vegan Stuffed Shells – with superfood kale and savory pumpkin. 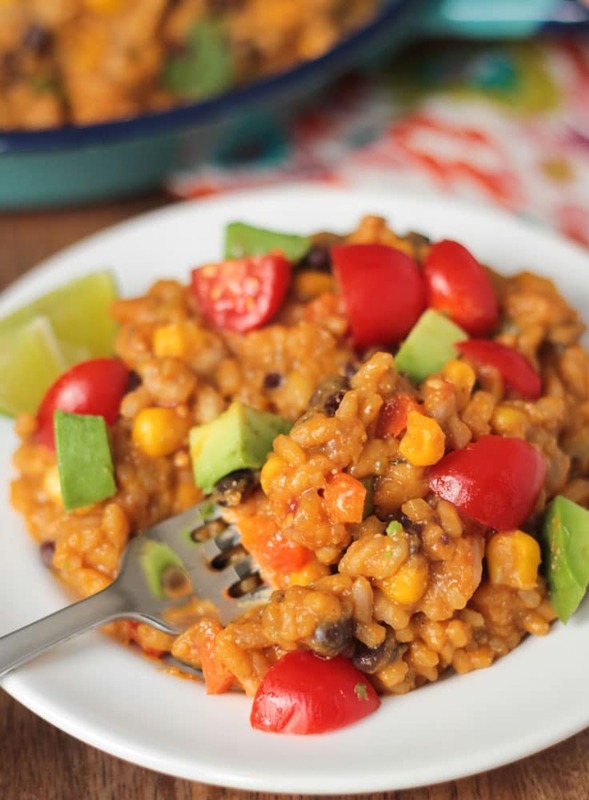 Easy enough for a weeknight, impressive enough for guests. I’m still on my pumpkin bandwagon and I don’t see myself hopping off any time soon. Is anyone else out there as excited as I am about pumpkin all-the-things? 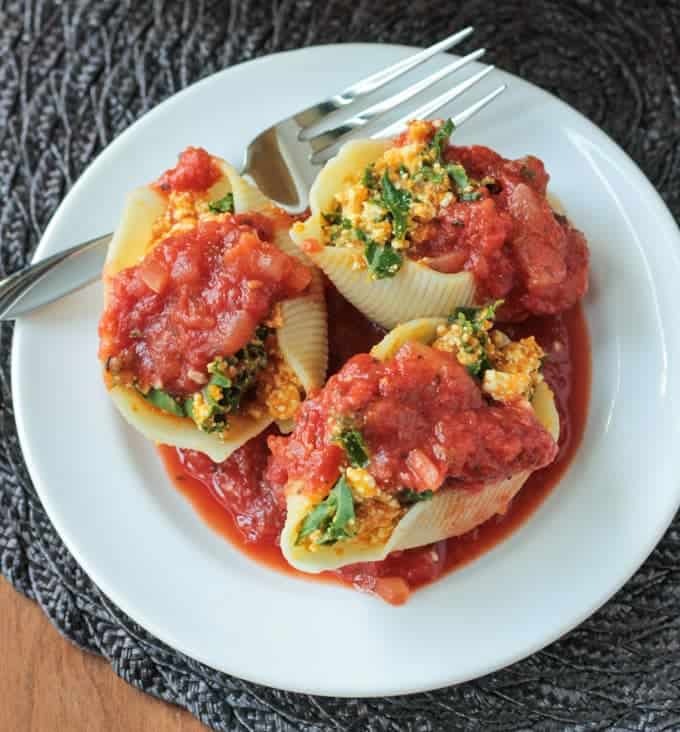 My favorite stuffed shells recipe is from Terry Walter’s cookbook, Clean Food, and calls for tofu and kale. It is so good! This recipe for Pumpkin & Kale Vegan Stuffed Shells is loosely based off of that one, but with different flavors. 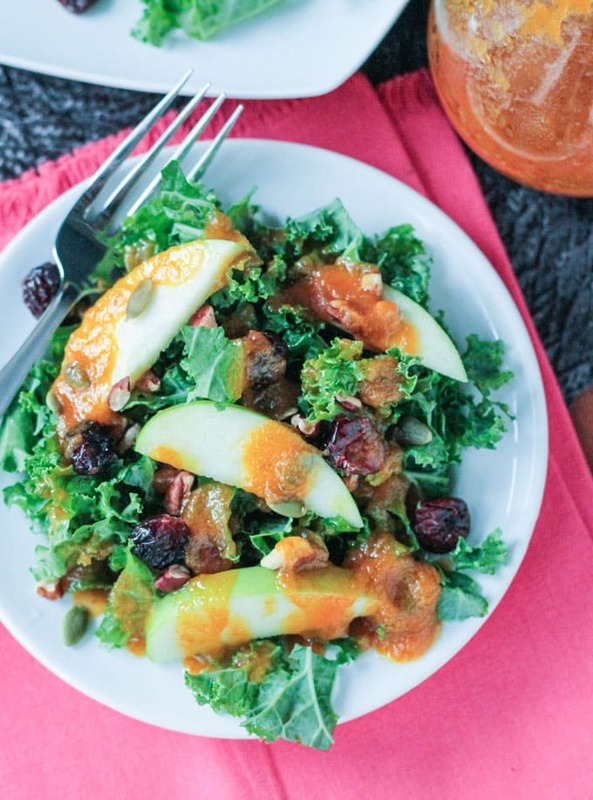 I think this worked out really well and turned out to be there perfect fall dish! If you’ve never worked with tofu before, this is a really easy way to get started. It plays the part of ricotta, which you would find in traditional recipes. Simply crumble it into a bowl and mix with the other ingredients. Easy! Top this stuffed shells casserole dish with a quick and easy homemade tomato sauce and throw it in the oven for about 30 minutes and dinner is served! It’s looks complicated, but anyone can make this! This can easily be made ahead and stored in the fridge overnight until you are ready to bake. I haven’t yet tried freezing it, but I imagine that would work too. You could top this with vegan cheese if you wish, but I prefer without. The kids ate this right up! 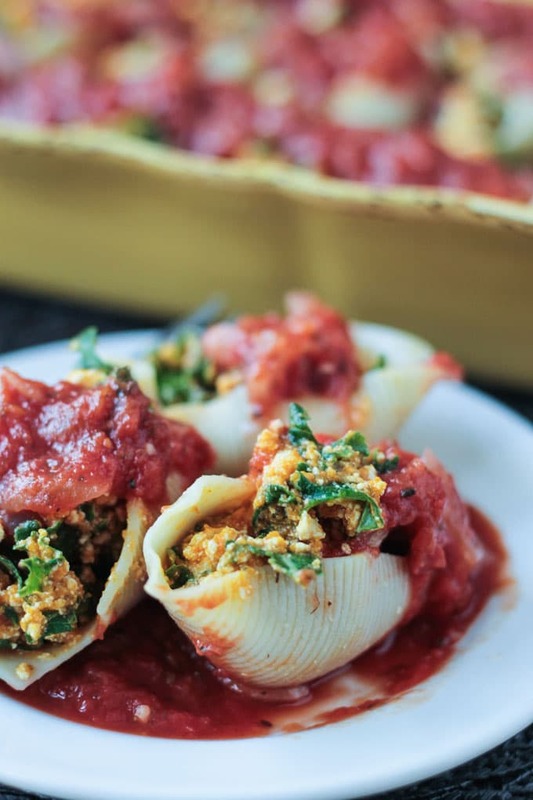 I hope you love these Vegan Stuffed Shells as much as we do. If you try them, please come back and leave me a comment below with your feedback and star rating after you try them. 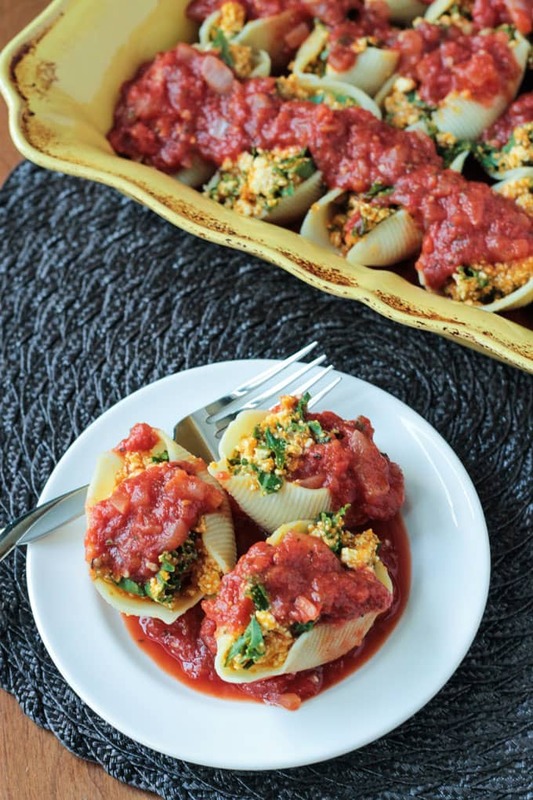 Stuffed Shells - with superfood kale and savory pumpkin. Easy enough for a weeknight, impressive enough for guests. 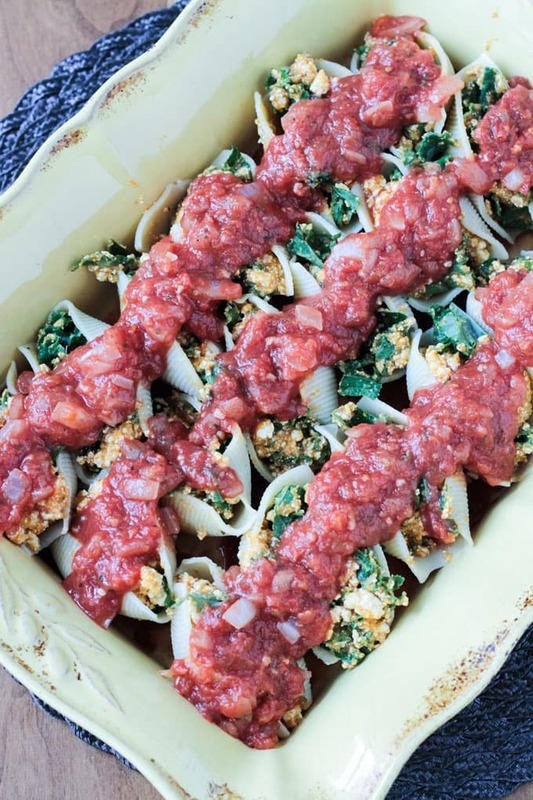 Adapted from Terry Walters' Baked Stuffed Shells in her cookbook, Clean Food. Cook shells according to package directions. You want the shells al dente so they don't fall apart, so check them often to make sure they don't get too soft. Drain and rinse with cold water to stop the cooking process. Set aside. While shells are cooking, start the sauce. Add oil (or 3-4 tbsp water for oil-free) to a sauce pot over medium heat. Add onion and garlic and sautee until onion is soft. (If using water instead of oil, add another tbsp of water as needed if onion and garlic starts to stick as water evaporates). Add tomatoes, basil, salt and pepper (about 1/2 tsp salt, 1/4 tsp pepper, but add more or less to your tastes) and simmer for 10-15 minutes. In a mixing bowl, crumble the tofu and add the pumpkin, sage and kale. Mix thoroughly. Pour about 1/4 cup of sauce into the bottom of a 9x13 pan and spread evenly. Stuff each shell with the pumpkin/kale mixture and place in single layer in the pan. Pour the rest of the sauce over the top of the shells. Bake for 30-40 minutes until heated through. *To press tofu: Line a plate with paper towels (or a clean kitchen towel), put the tofu on the towel and place another paper towel and plate on top of the tofu. On the top plate, place a heavy item or two (I use bags of dried beans) to press. Let it press for 20-30 minutes. Pumpkin and pasta are so perfect together! I make something similar with lasagna noodles but I know my girls would love these shells! Just don’t tell him…he’ll probably never know! 🙂 Thanks, Beth! I’m like you, I really enjoy pumpkin and squashes at this time of year, it’s one of the reasons the autumn larder is such a favourite. Love the look of your filling for the pasta shells. 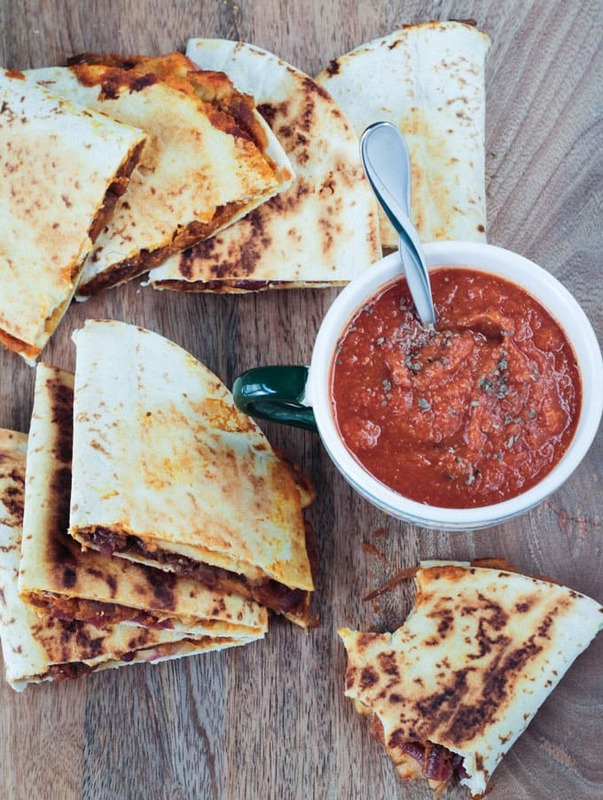 Fall food is the best! Thanks, Kavita! That looks absolutely delicious! I love to stuff jumbo shells and I am really looking forward to making this recipe. 17g of protein is great! Yay! I hope you love them, Ginny! I love pasta shells, always looking for new ways of stuffing them 🙂 your ingredients combination looks great, thanks for sharing! what a delicious way to enjoy seasons best produces..flavourful and tempting!